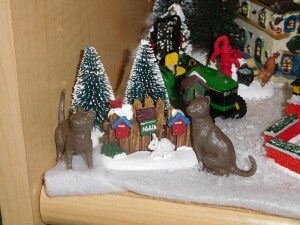 It was suggested that if I added a couple of cats to my farm scene it would be the place to live. My thoughts were that the cats were there but inside enjoying the warmth but I found a couple of brave souls and adding them to the scene. They definitely add to the overall feel. 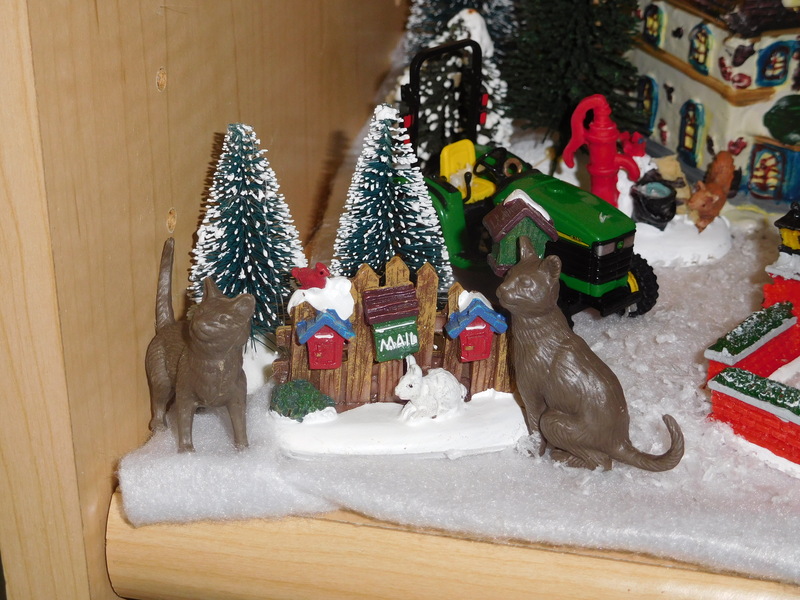 YAY, cats in the village! No, not chocolate. I'm ashamed to say they wouldn't last if they were. LOL That cat wanted in. My experience is that few of them truly like snow. I think the rabbit should be worried but it was hard finding cats the right size.